The Samsung Galaxy Note N7000 android smartphone users can now update their device with a new version of Jellybean 4.1.2 firmware. This firmware is actually dubbed as the version of XXLSA. Please make a note that it is just an officially leaked firmware by Sammobile. As of now, Samsung do not released this officially. And also note that applying this update won’t root or void the warranty in any manner. In fact, if your device is rooted then after applying this device, the root access will be revoked and you can claim the warranty. Further, you can apply this firmware on any of the current firmware version. Disable all the antivirus tools in your Samsung Galaxy Note N7000 to avoid its interruption during the firmware update. 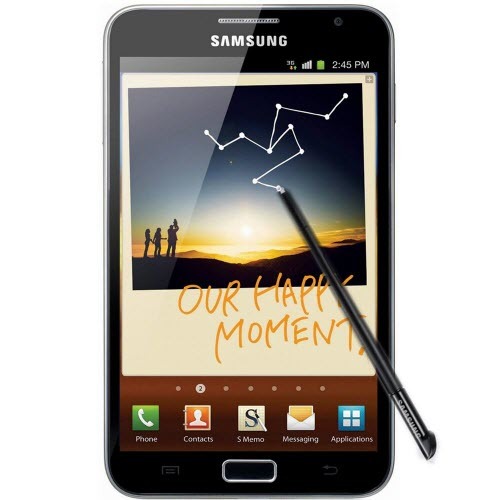 Finally, download the drivers from here for Galaxy Note. 32 bit (x86) Windows | 64-bit (x64) Windows. 1. First download the XXLSA Jellybean 4.1.2 firmware package from here to your computer along with Odin in your computer. 2. Once downloaded then extract the both of them preferably to the folders on Desktop. 3. Once extracted, open Odin in your computer and turn off your Galaxy Note so that it can be entered into the download mode. 4. To enter into the download mode you need to press the Volume Down Key + ok button, and holding both simultaneously by pressing the power button. If your device do not entered into the normal mode, then you need to try again until it entered into the download mode. 5. After that connect your phone to the computer with the help of original USB cable and then you will see the ID:COM section turn yellow. It indicates that all the drivers have been installed successfully and you are ready to proceed to the next step wherein you will have to click on the below mentioned corresponding tabs to select the file from extracted firmware package. 6. Make sure that the Re-partition option is unticked and nothing should be added in the PIT section. 7. After that click on the “Start” button to start the process of firmware update. 8. It will take around 5 minutes to update the firmware. So, once it updated successfully the device will automatically reboot. 9. If you want to check whether the firmware is updated successfully or not then you need to go to the path “Settings > About Phone”. There you will see the version details as XXLSA Jellybean 4.1.2 firmware. 10. That’s it you’ve done. Congrats! Note: In very rare case the device doesn’t boot up or show the home screen at that situation just remove the battery and reinsert the same to boot the device again in the normal mode.